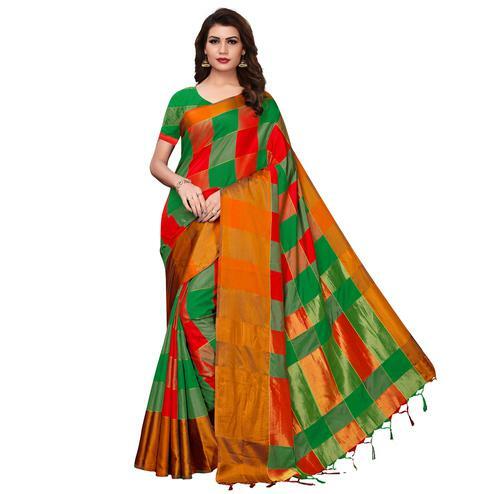 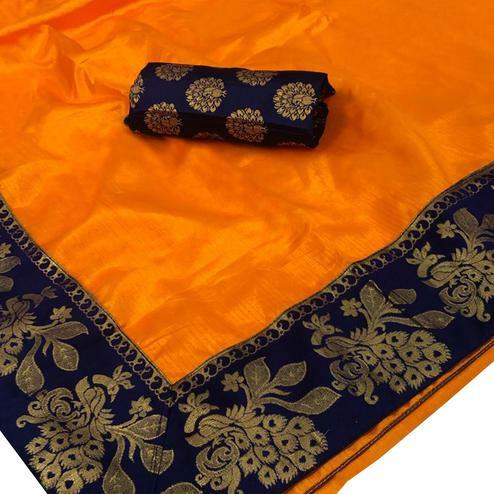 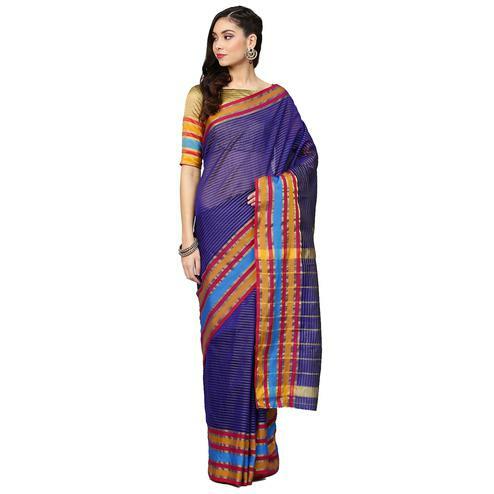 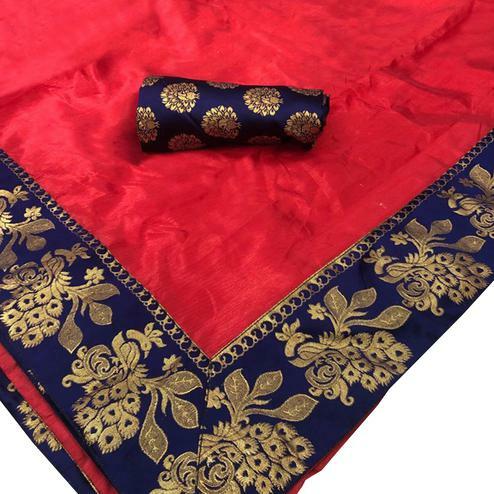 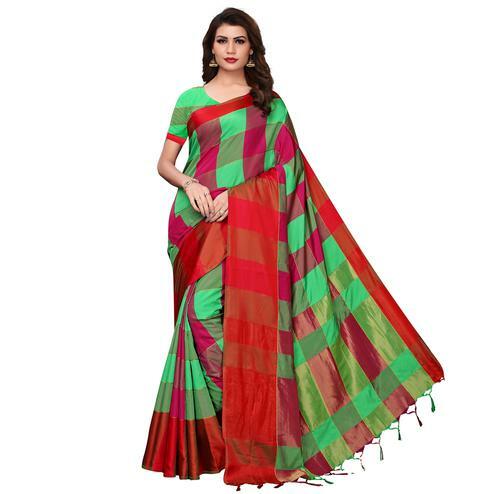 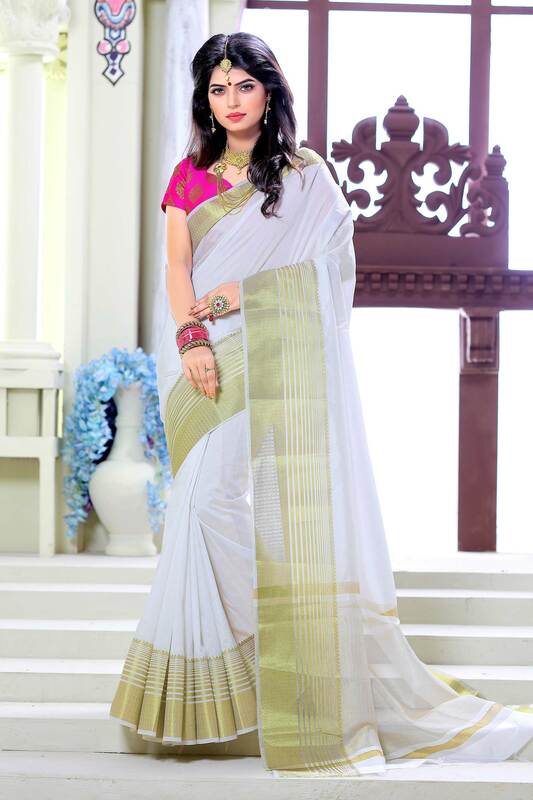 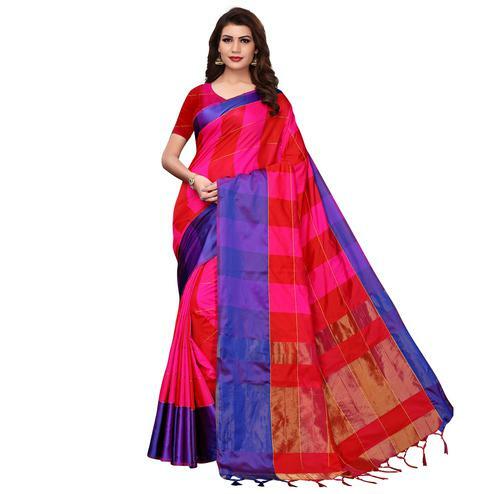 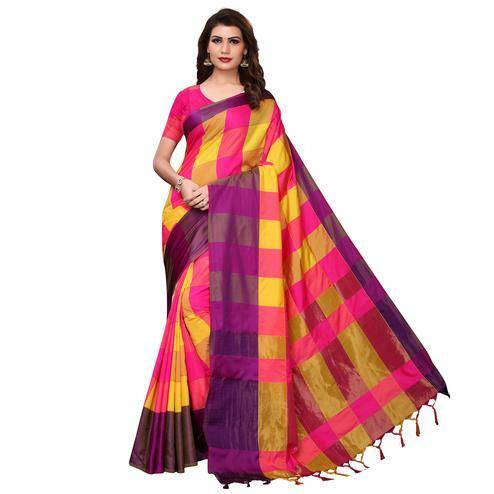 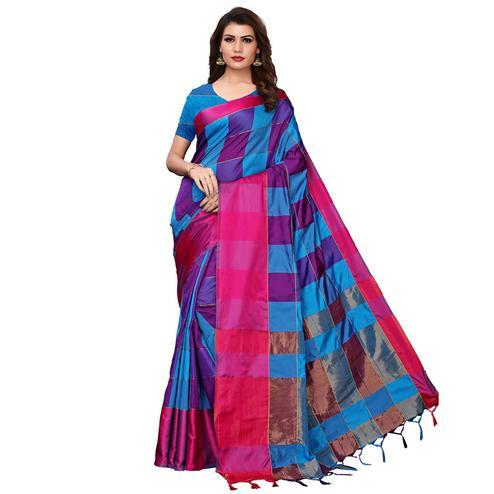 Appear in an ethnic avatar with this white zoya silk saree which has been graced with weaving work done in geometrical stripes and decorative pattern performed at border, lower part and pallu end as shown. 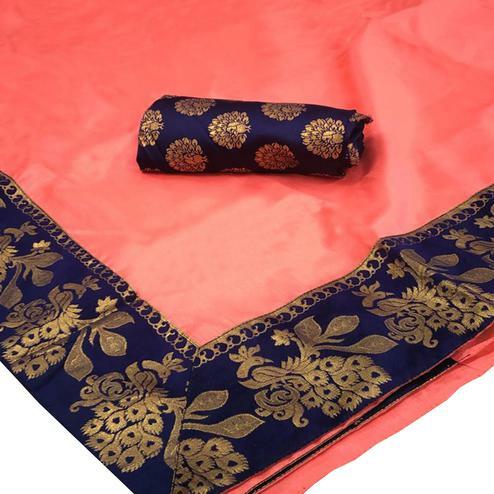 Saree paired with pink jacquard fabric blouse piece. 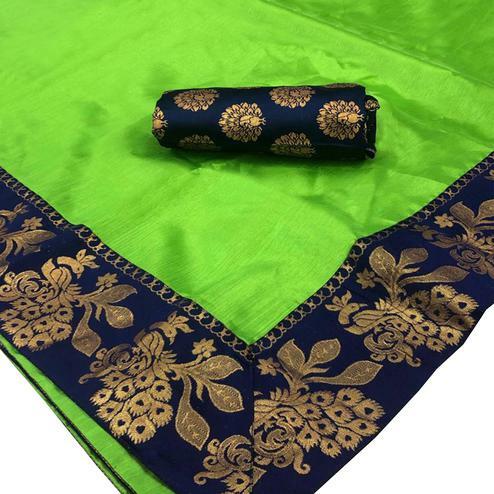 Suitable to wear for family functions and festivals.